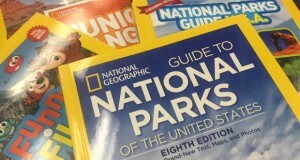 How many National Parks can you name? Be honest. We’re guessing the answer isn’t all 58. The marquee parks like Yosemite, Grand Canyon, and Yellowstone seem to get all the attention – don’t get us wrong, they’re worth the visit. All we’re saying is there are 55 other beautiful destinations in our National Park system, including some hidden gems just waiting to be explored. 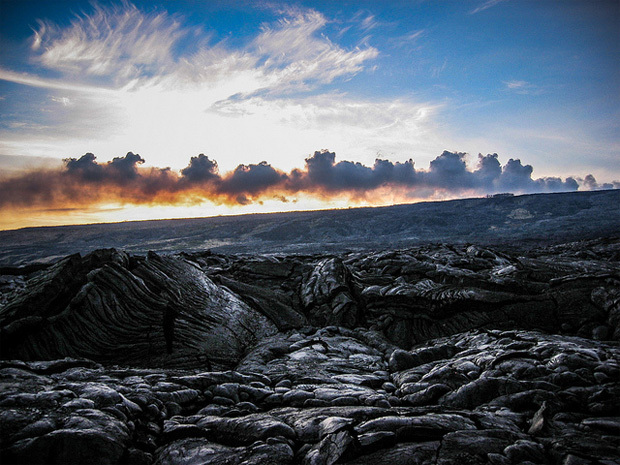 Founded: At 99 years old, the Hawai’i Volcanoes National Park is at the center of the volcanic landscape that helped shape the islands of Hawaii. It’s also the home to the first airfield ever built on the island. With caves, desert, rainforest and volcanoes, the park truly has it all. Things To Do: This unique destination is one of the only landmarks where you can spot live lava flows, tubes and glowing craters. To get up close and personal with the inner workings of a volcano, we suggest the drive through the luscious rain forest to the Thurston Lava Tube. Here you can hike through a tube where lava once flowed. If you’d rather see the sights in the safety of a car, take the Crater Rim Drive. The drive winds around a portion of the caldera, through rainforest and desert. Where To Stay: For visitors wanting more than one day to explore the park, the Nāmakanipaio campground is a large grassy area surrounded by tall eucalyptus and ‘ōhi’a trees. Making it one of the best places in the park to pitch a tent for the night. 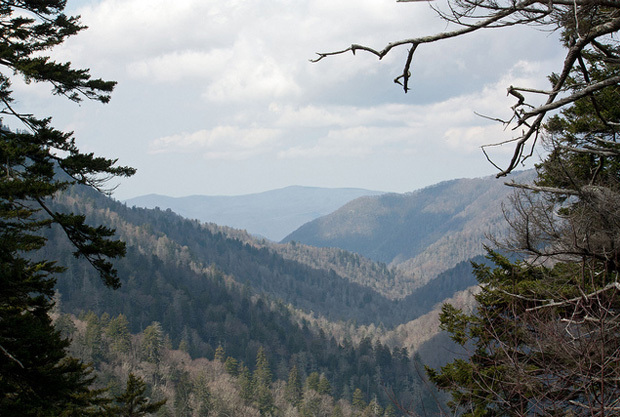 Founded: Established in 1940, the Great Smoky Mountains have been a popular destination since its dedication. Encompassing over 522,000 acres in both Tennessee and North Carolina, the park is home to mountains, waterfalls, winding valleys and century-old architecture. Things To Do: For a historical journey, take a walk through the Mountain Farm Museum. Here you’ll find a collection of log buildings from all over the Smokies; restored and preserved for a look back at mountain life in the early settlement days. Binoculars and bear spray are recommended accessories, as wildlife is abundant in the park – especially Black Bears. By far hitting the trails is the best way to explore the Smokies, and with 800 miles of pristine backcountry trails you’ll have plenty of options. Picturesque waterfalls are strewn all over the park, with many trails bringing you by them. For a unique experience, take the Trillium Gap Trail that meanders through an old-growth hemlock forest and actually runs behind the 25-foot high Grotto waterfall. Where To Stay: For travelers wanting to stay in the park, the largely wooded, Elkmont Campground is a good choice. With the Little River running directly through the campground, it offers campers the chance to wake up to the sounds of a rushing stream –a perfect way to start the day. 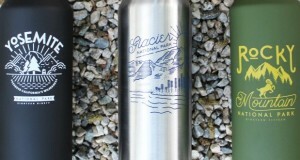 Founded: The 105-year-old Glacier National Park encompasses over 1 million acres. 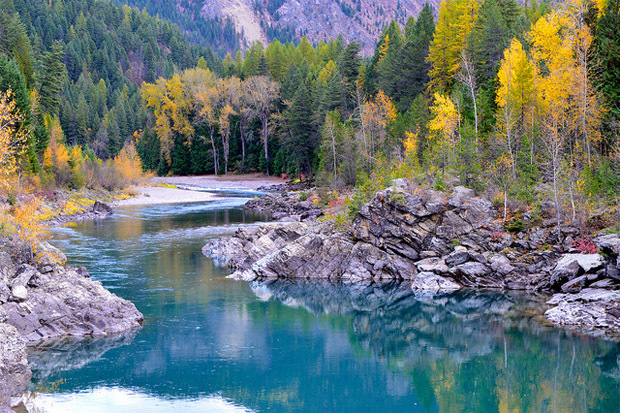 Bordering the USA-Canada border in Montana, the park includes parts of two mountain ranges, 130 named lakes and an abundance of plants and wildlife. Things To Do: With all the lakes and streams passing through Glacier, fishing is a popular activity. The streams of Glacier National Park boast some of the best fly-fishing in the country – even for beginners it can be a successful day. To explore the park by car, we’d suggest the very popular Going-To-The-Sun-Road tour that spans 50 miles through the park’s wild interior. If you’d rather see the park on foot, there are over 700 miles of trails, so options aren’t an issue. The Highline Trail is where we’d head. Starting at Logan Pass the Highline Trail is not for amateurs. This 11.5 mile trail leads you along the edge of a cliff, to the summit of a mountain and to Grinnell Glacier Overlook giving you a view of Grinnell Glacier over 1,000 feet below. Where To Stay: You can’t truly explore this park in just one day so an overnight stay is recommended. Taking refuge at the Rising Sun Campground puts you right next to the beautiful St. Mary Lake and one of the most photographed landscapes in the park at Wild Goose Island Turnout. Accommodating both RV’s and tents; this modern campground is where the mountains really begin to rise, making it a beautiful place to spend the night. Founded: Established in 1902, Crater Lake National Park is the fifth oldest national park. 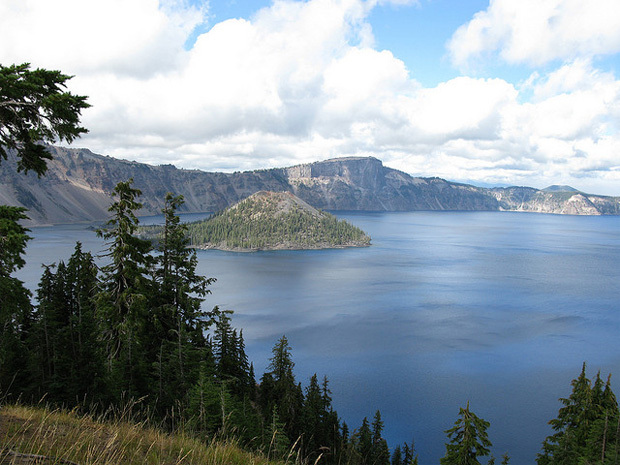 It is home to the caldera of Crater Lake – a remnant of a destroyed volcano. At 1,943 feet deep, Crater Lake is the deepest in the United States. 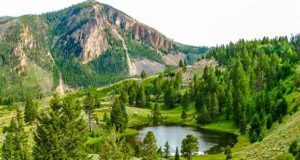 But it’s just one piece of this beautiful landscape that also boasts volcanic mountains, 300-foot pinnacle towers and old-growth forests covering 50,000 acres. Things To Do: If you’re going to be at the deepest lake in the nation, you better swim or at least take a boat tour to one of the islands in Crater Lake. If you’re adverse to water, hiking is a great option. With 90 miles of trails to choose from, the Pinnacle Trail hike is a beauty. This short one-mile loop teeters along the rim of Pinnacle Valley providing views of volcanic spires in the canyon walls, some up to 300 feet tall. Where To Stay: If you head to Crater Lake after June, try to stay at Lost Creek Campground. This 16 site, tent-only campground is wooded, secluded and available on a first come, first serve basis. If Lost Creek isn’t an option, the forested Mazama Campground is a fine alternative. The beautiful 200-site campground is a quick 7-mile drive to Rim Village, which offers views of Crater Lake. 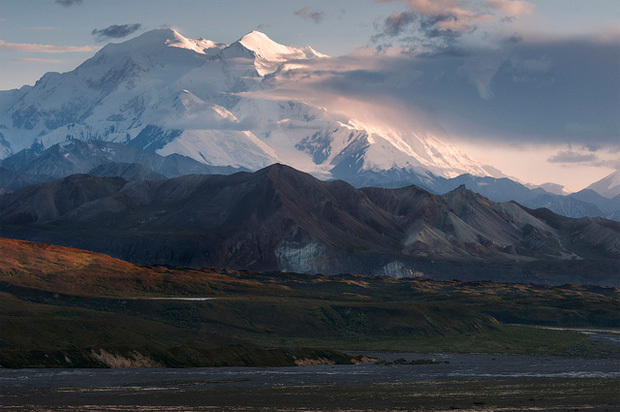 Founded: Solitude, tranquility and wilderness await you at Denali National Park. 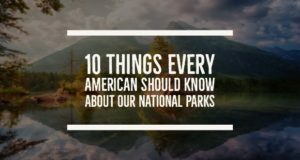 The 98-year-old Park encompasses 6 million acres (yes, you read that right) and is a mix of forest, tundra, mountains and glaciers. Things To Do: The Park is home to the tallest mountain in North America, Mount McKinley. So seeing this is pretty much a must. The best way to get a peek at the 20,320-foot mountain is by jumping on a shuttle or tour bus that goes along the 90-mile Denali Park Road. But the most dramatic way to tour the park is from the window of a small aircraft soaring over gentle foothills, along meandering glaciers, and up to the rugged peaks of the Alaska Range. Where To Stay: At 33 sites the Savage Campground is the smallest campground in Denali National Park. The seclusion and views of Mount McKinley are the exact reasons why we’d stay here. The forested campground offers privacy between sites and ample opportunity to see wildlife meandering through the campground. Founded: Nestled in the front range of the Rocky Mountains, the 100-year-old Rocky Mountain National Park is home to a variety of wildlife, majestic mountain lakes, and wooded forests. The 215,761-acre park is split by the Continental Divide, which gives the eastern and western portions of the park a different character. The East is rich with glaciated peaks whereas the West dominated by forests. 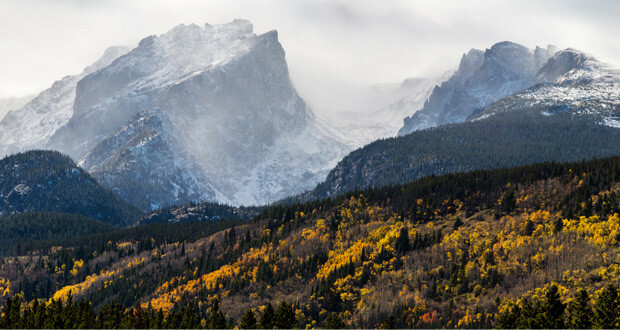 Things To Do: There are countless activities to participate in at Rocky Mountain National Park on both land and water. White water rafting is sure to get your heart pumping – from beginner tours to advanced treks down the Colorado River, the experience is electrifying. There are over 300 miles of hiking trails, but if you prefer the comforts of your air-conditioned car, the Trail Ridge Road offers breathtaking views. Covering 48 miles, the road winds up the mountainside to a peak above the tree line at 12,183 feet – it’s a picture worthy experience. 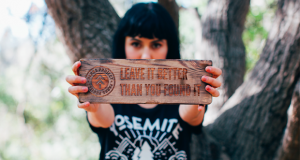 Where To Stay: If you’re looking for a little peace and quiet, the Longs Peak Campground is right up your alley. At an elevation of 9,500 feet, you’ll feel in the thick of the National Park. The 26-site campground is highly wooded and only allows tents – that’s perfect for kicking back and relaxing. When you’re ready to venture out the Longs Peak Trailhead is nearby. 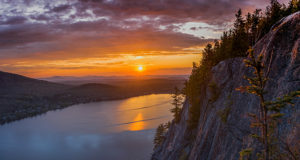 Founded: In 1919, Acadia National Park finally became a reality and established itself as the first National Park on the East Coast. This beautiful park inhabits most of Mount Desert Island off the coast of Maine. This diverse park includes mountains, an ocean, shoreline, woodlands and lakes. 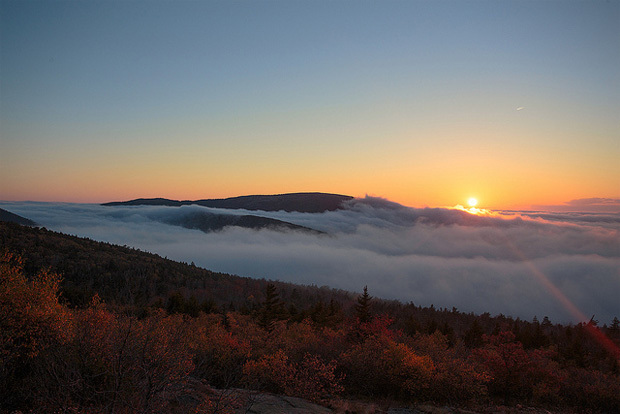 Things To Do: Plan accordingly and hit Acadia National Park in the fall. The explosion of colors is in full force around mid-October. 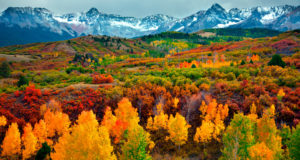 They may just be some of the most breathtaking fall colors you’ve ever seen. Using your smartphone or a GPS, we highly recommend exploring the park through the EarthCache Program. With clues from the Acadia website you’ll be led on an adventure throughout the park to significant sites in the area – we promise it’s fun. Where To Stay: At only a 10-minute walk to the ocean, the Blackwoods Campground is a gem of a place to pitch a tent for the night. The wooded campground is best suited for small or large tents but a few spots can accommodate RV’s. Founded: Covering more than 1 million acres, Everglades National Park was established in 1934 to help protect the Everglades. It’s the largest tropical wilderness in the United States and helps protect nearly 40 threatened or protected species, such as the Florida Panther. This tropical area is known for its freshwater sloughs, pinelands and its diverse marine life. Things To Do: Exploring the Everglades by watercraft is something everyone should do. The 10,000 islands tour is incredible. 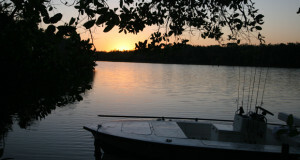 The fully narrated tour weaves through one of the world’s largest mangrove forests. Plus you’ll have the chance to spot manatees, alligators, bald eagles, and other marine life. With 350 species of birds – bird watching could be a full time activity. The Anhinga Trail is a great place to spot a variety of birds, such as the Purple Gallinules. Where To Stay: Located on the southernmost tip of the Florida peninsula, the Flamingo Campground is an experience in itself. The campground can accommodate both tent and RV. It is not in a highly wooded area, but with great hiking trails and ample opportunity for salt-water fishing – you’ll forget about that small little detail. Founded: Surrounded by Lake Superior, Isle Royale offers unparalleled solitude and adventures for all who visit. The 75 year-old park encompasses a 571,790-acre island that offers a rugged environment with plenty of opportunity to run in to wildlife. Things To Do: The Island is accessible by ferries, floatplanes, and passenger ships from Minnesota and Michigan. Once you arrive we suggest jumping on the Raspberry Island tour. Here you’ll walk on a boardwalk through a spruce bog, followed by a cruise that features fantastic views of the Canadian shoreline. The tour concludes by viewing the site of the Monarch shipwreck – all while taking in a Lake Superior sunset. 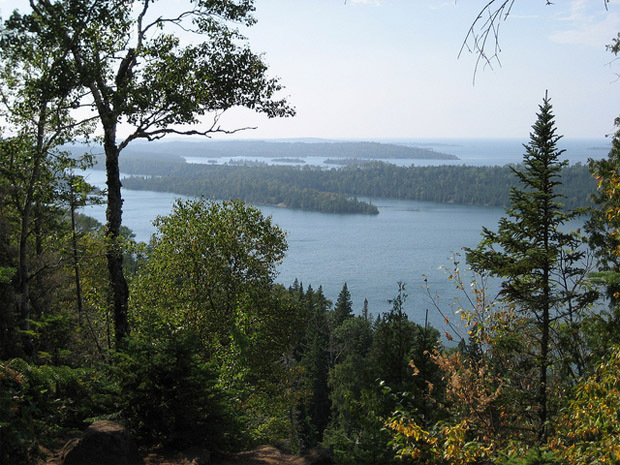 Where To Stay: There are 36 wilderness campsites on the island spread out between the Windigo side (closer to Minnesota) and the Rock Harbor sidev(closer to Michigan). All of the walk-in sites are very secluded with minimal amenities. Spending a few nights at Isle Royale National Park truly allows you to get away from it all. Founded: Established in 1941, Mammoth National Park covers over 52,000 acres preserving the Mammoth cave system, part of the Green River valley and the hilly countryside of south central Kentucky. 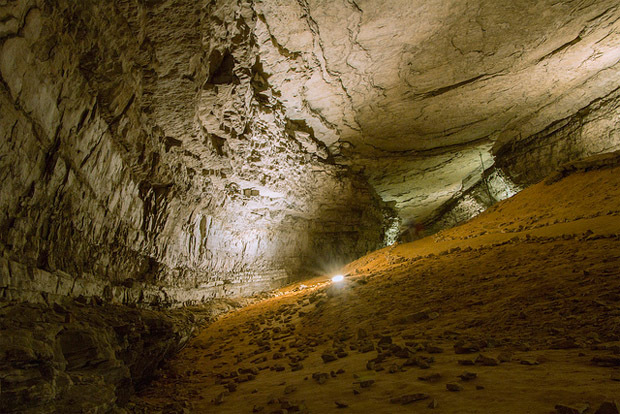 With over 400 miles explored, the National Park is home to the world’s longest known cave system. Just that fact, makes it worth the visit. Things To Do: Although there are plenty of activities above ground, like kayaking the Green River and hiking the trails – the cave tours are the highlight of the park. On the electric lit tours, you’ll see popular attractions such as Grand Avenue, Frozen Niagara and Fat Man’s Misery. If you want to really explore the cave, take a “Wild” tour which ventures away from the developed areas and into muddy crawls and dusty tunnels. It’s an experience you’ll never forget. Where To Stay: To get away from the hustle and bustle around Mammoth Cave, hop on the ferry and head over to the Houchin Ferry Campground. Here you can set up camp in this 12 site primitive area. Offering seclusion and a campsite near the river, Houchin is a fantastic place to camp while at Mammoth National Park. This article was originally written for The Growler magazine and was featured in their February issue. If you like Craft Beer, you need to check them out. Along the way to these incredible National Parks are some great breweries.